In an era where both employees and consumers are giving more weight than ever to a company’s mission and ethics, corporate social responsibility has become a staple of modern company culture. 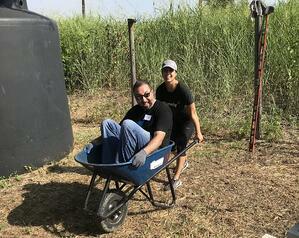 Between paid “VTO” or volunteer time off, team volunteer days, and company-wide fundraisers, employees have come to expect a level of support for their charitable initiatives. 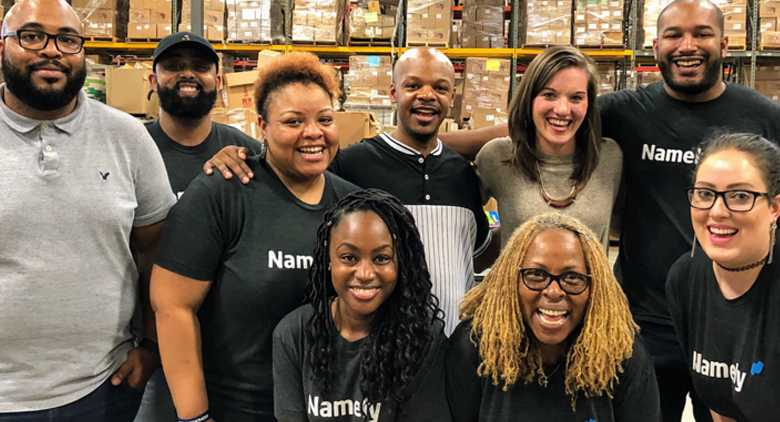 At Namely’s recent summer celebration, cross-functional groups of employees from each office spent time volunteering at various organizations in their respective communities. 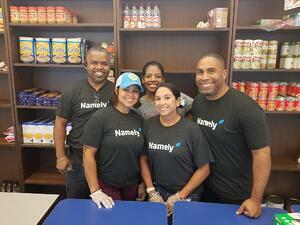 With over 100 employees participating, employees from coast to coast united around one of our core company values: Namely Cares. “Volunteering is a great way for colleagues to get to know one another outside of the office through a shared experience. It also provides the chance to interact with people from other departments, making it easier and more comfortable to collaborate across teams when you need to. It was incredible to speak with the Community First! resident who led our group. He had clearly had a rough life, but shared how something as simple as tending the garden could help improve the livelihood of everyone in their community." 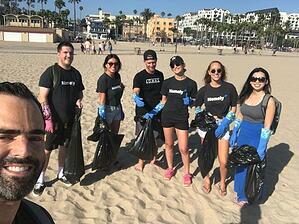 “Volunteerism displays a company's true values and the values of the employees who work there. By giving back, we show that we are more than just a company––but also a bunch of individuals coming together to support an amazing cause and help those in need. “It's all about being human. It was so empowering to see the amount of lives that Namely touched and how much the team impacted all of our local communities. “I’m super passionate about volunteering, and I actually organized the event. During volunteer week, I led card-writing for hospitalized children. Ask an event lead, the highlight was seeing everyone take time out of their day to help. 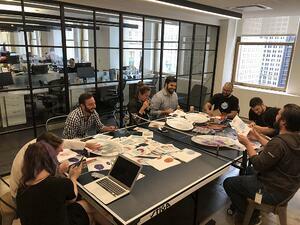 You could feel the passion from every person across every office, including Namely’s CFO who made cards with us! “Aside from the obvious benefits, like helping the community, social responsibility is also good for employee development. Volunteering builds teamwork and many other soft skills outside of our primary work responsibilities. 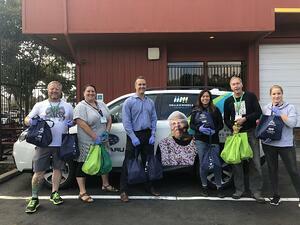 “Company volunteerism gives us a chance to make our city a better place to live, get to know our community better, and give to those who are less fortunate. 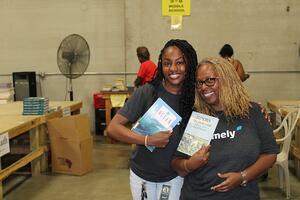 Volunteering is a great way to boost company morale. Download our free guide to access more tips for engaging employees.